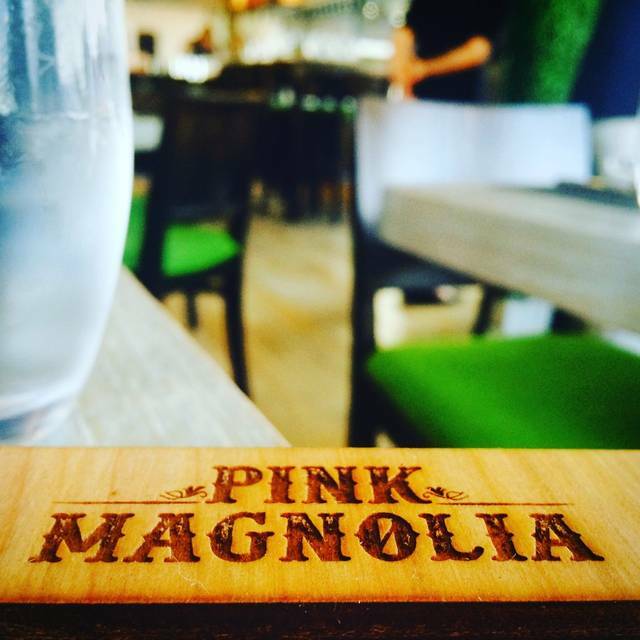 You must make reservations at least 5 minutes in advance of the time at Pink Magnolia. For the price, the food wasn't spectacular. I expected it to be an amazing experience. Iiiit was underwhelming at best and the service was very slow. We did make reservations for 2:15 on a Sunday so perhaps that had something to do with it. The waiter was great just not very present, I'm not holding him at fault though because he had numerous tables. The good war just meh to me. Perhaps a recommendation would have gone over better. 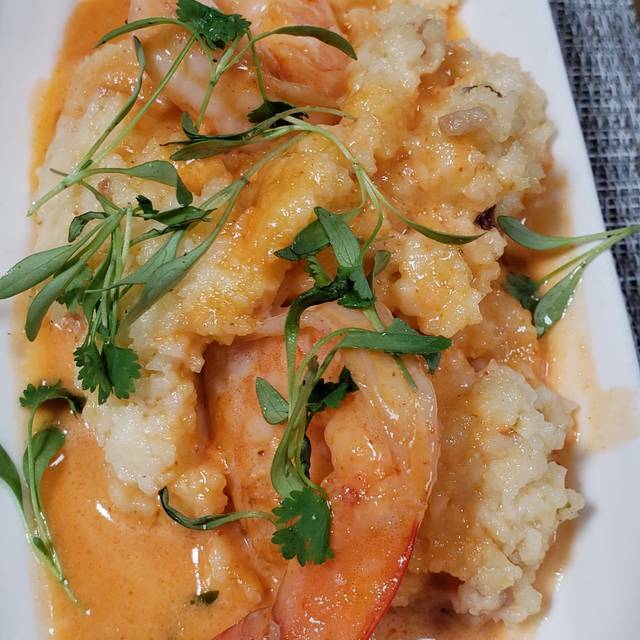 The strawberry lavender pancakes and shrimp and grits are both excellent! The server was very nice. The pork chop was not very flavorful and was too well done. The sweet potatoes it rested on were very good. The Pink Martini was wonderful. We also shared the deviled egg appetizer. Very different and spicy. Not sure about it. For the expense of the entrees, we expected better ambiance. The restaurant looks out on the street and some construction that is underway. The music being played was country .... very odd choice. We expected a lot more from this dining experience. Beverages are served in glass jars. Not sure what to make of that, either. The food was delicious, the service was lovely and will come back again!! Cocktails and mimosas are interesting and taste great, with good variety. Good variety of delicious food, and ambience is great; different from regular restaurants. The experience was exceptional! The food was delicious and the service was terrific! Be sure to order Fried Okra and/or Fried Green Tomatoes! Great food and service! Can’t be beat! The owner is very friendly! This is my new brunch spot! Very friendly waiter, food was subpar, I’ve made better chicken thighs in my Crockpot. Salad was heavily salted, I had salt on my lips! They did comp it, overall highly don’t recommend it, sad to say. Food is fantastic. Appetizers were very good. Chef made diet accommodations with great attitude. The restaurant wasn’t open when we went for our reservation. I was very disappointed. Had my Birthday dinner there. I’ve been wanting to go to the Pink Magnolia for years, we finally made it happen. It was great, first we had some drinks at the bar. The Pink Magnolia drink was my favorite. We had deviled eggs and the special app which was queso with brisket and charred corn served with tortillas - it was excellent! Everyone ordered something different and we got a variety of sides, they were all superb. The deserts were phenomenal- I would go there daily and just have a dessert!!! We have made reservations for the Brunch next weekend and are looking forward to it! Excellent service and the Chef was awesome! The food at Pink Magnolia was great, and so was our server, however, the service we received when we initially arrived at the restaurant was terrible. I scheduled a reservation for 2:15pm for my birthday and arrived, with my guests, promptly at 2:10pm. We stood there for about 10-15 minutes before tracking someone down and asking if they could check me in for my reservation. I was then told that someone would be over to seat us in a few minutes...that turned into 15 additional minutes to which we still were not seated. Needless to say, I was upset and almost left the restaurant when a host finally came over and took us to our seats. Our waitress was exceptional and made sure we were taken care of. I love the ambiance of the restaurant but the service from the hosts was less than pleasant. The best onion rings we have ever had and then to complete our fried food extravaganza, we had the chicken fried steak. Really, really amazing but different because it was a non-traditional cream gravy. The butter/sugar cake put us over the edge. While the service was great (friendly, helpful, efficient) there was little else to call us back to Pink Magnolia. There are many better options at this price point. Decided to try something different from the same old same old. Pink Magnolia was a good find. 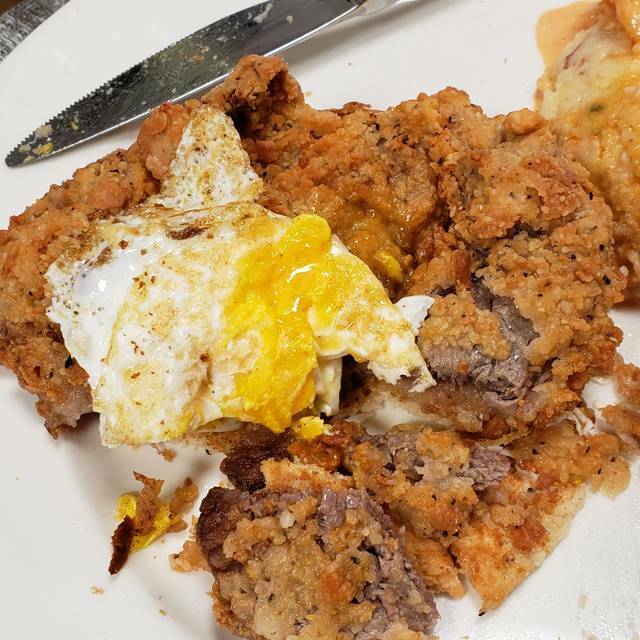 We had chicken and waffles, biscuits and sausage gravy, grits and chicken fried ribeye. The chicken breast was moist and seasoned just right. The bourbon syrup was a little overpowering, but the cream based sauce that comes with the waffles was really good. Love Pink Magnolia. Great food and great drinks. Had a great time. Definitely do the reservation if you can; space is limited. Staff was definitely accommodating. Food was great. We had the peach bellini mimosa carafe; yummy! I had the hoecake stack with bacon and eggs. Love their bacon; nice and meaty and crisp! I recommend. Fantastic customer service beautiful restaurant and delicious food. Happy to see skirt steak was back on the menu as a feature! And their grilled shrimp cocktail with grilled lemon and special spicy sauce was one of the best things I’ve ever tasted. I hope that goes on the menu permanently. My guests loved the oysters and onion rings - had a wonderful meal! 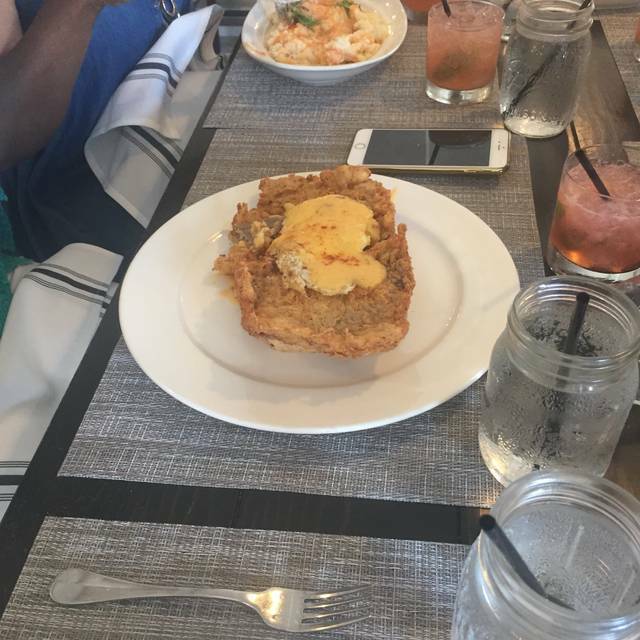 I love their brunch! Caroline gave us amazing service and the food is amazing! Love the Barbecue Lobster Biscuits with the French Fries! Food was absolutely amazing! The man who seemed to be the manager was rather rude, and our server was a little slow-- though it was brunch time, so I completely understand. I would definitely come back again! They were not crowded. The server gave us a lot of time to decide our food and wine. The food was good but the halibut was over cooked. Pink Magnolia is absolutely one of my favorite places for a weekend brunch. The atmosphere is comfy-casual and the tables are far enough apart to allow for a comfortable level of private conversation. The cocktails are imaginative, well done, and generously poured - Pink Paloma, made with blood orange is my current favorite. It's like the bartender took every one of your favorite summer memories and shook them up together in drinkable form - you'll love it ... and if you don't I will happily take your leftovers. 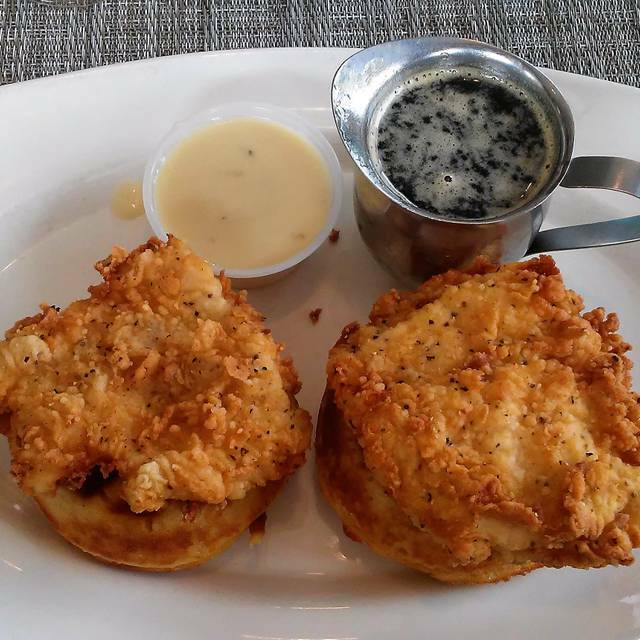 I've had most everything on the brunch menu but the chicken and waffles continues to be my favorite. 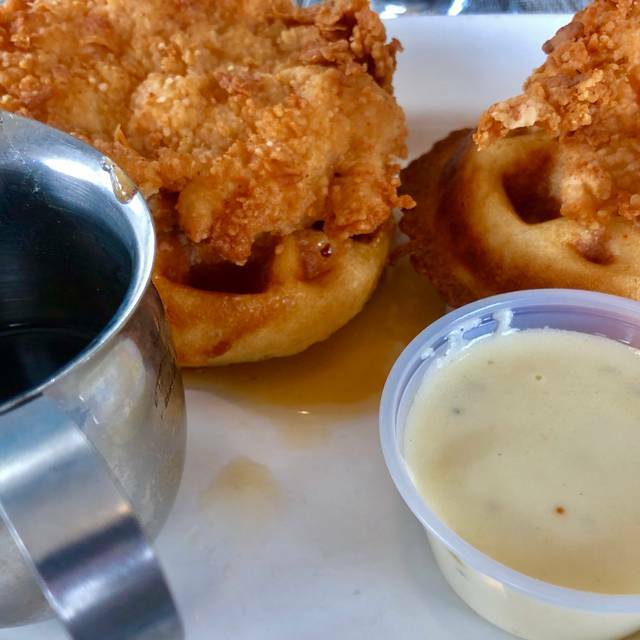 The chicken is fried so perfectly it would make your southern grandma weep tears of joy - and it's piled on the fluffiest waffles in the universe, swathed in jalapeno cream gravy and drizzled with bourbon syrup. The variety of deviled eggs that are offered changes more often than a 15 year old girl's current crush - when I was there last they were BBQ Deviled eggs and they're basically impossible not to like. 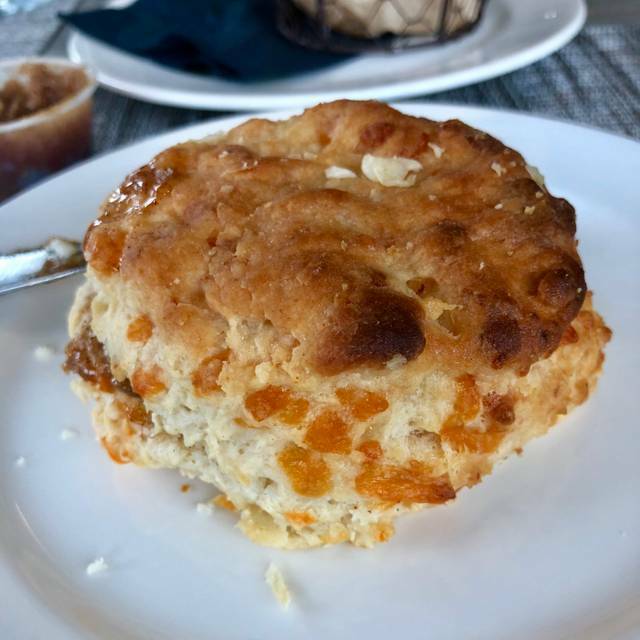 I'm personally not in love with the biscuits, so there's that. 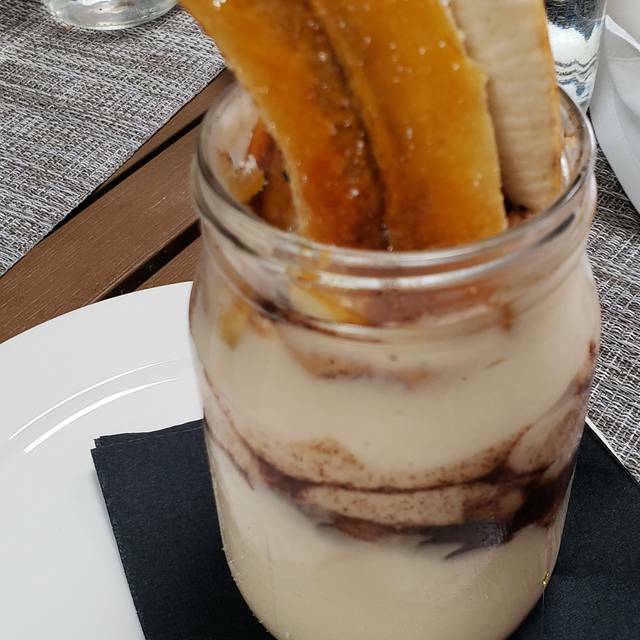 If you even have a smidge of leftover room in your stomach afterward go for the banana pudding because who in their right mind doesn't like bourbon and banana? The staff is friendly and fun - as well as being knowledgable enough to suggest the perfect wine to one person in my party who was unsure what to get. 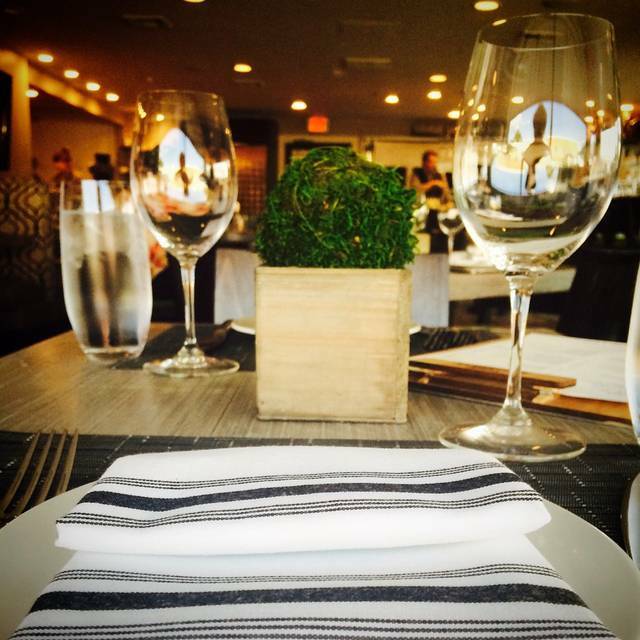 You'll definitely want reservations - and book them early in the week or you'll be disappointed. A+ all around - I love this unique spot! Food was ok, but way overpriced. I ordered 5 wings and a side of onion rings and it costed $25.00 + tax U can get 10 wings, fries and a drink from Wing Stop for $12.99 + tax. Won't return. OUTSTANDING!!!!! Would definitely recommend this place to friends and family! Probably the happiest food servers in town. I mean, genuinely happy, not "fake happy" to get a better tip. This is credited to amazing leadership under Chef Blythe Beck. Our waiter was amazing. The food was delicious!! A truly great restaurant experience! The staff attended to our every need, the food and drinks were superb A truly great restaurant experience! The staff attended to our every need their prices where certainly very reasonable in consideration of the level of attentive service, the distinctiveness of their menu & quality of the items preparation/presentation coming out of their kitchen menu. Thank you Leticia your outstanding service which significantly contributed to such a lovely evening! …and thank you Casie for introducing us to the over-the-top “When in Paris, TX” cocktail! We will definitely be back! AWESOME PLACE! Food is delicious and the wait staff was wonderful. We will go again and again. Amazing food, staff and chef! One of our favorite places in Dallas!